~Tug-of-War~ The shouting, cheering, and laughing of a crowd of ponies catches your attention- there is a big splash and the crowd erupts in laughing and cheering again. As you approach you see that the throng of ponies are huddled around a pit filled with mud, a large thick rope spanning over the top of the pit from one side to the other. Emerging from the pit is a once light sky-blue pelted pegasus, who was now obscured mostly by a coat of muddy brown. She laughed with the others as she shook her coat and mane out before addressing the crowd. "And thats how its done! Just hang on for as long as you can before these three-" she gestured with a hoof across the pit at her three competitors "- pull you in! The pony who puts up the best struggle and lasts the longest wins! Who's next?!" Event Description: Tug of War is an endurance contest against three other ponies! The goal is to pull your side of the rope against your competitors to prevent them from pulling you into the pit for as long as possible. Conveniently, the pit has been filled with mud so nopony will be injured when they are pulled in- the mud will be there to break your fall! So dig in those hooves, pull and tug and resist as long as you can before the three ponies on the other side eventually pull you in! Everypony eventually ends up in the mud, but how long can you resist before you take the final plunge? Endurance is important, but an Agile pony might also find be able to delay the inevitable with some quick thinking and clever hoof-work! Show us what you've got! Event Rules: 1 )There is no flying, no magic, and no use of outside equipment; everypony must compete using their natural ability to pull, tug, and stand their ground! 2) Only one post (round) per competitor (OC)! 3) You may participate in this event with more than one OC. However, only one post will be considered for judging, please indicate which OC/post you want to be judged in the competition at the top right of your post by adding the following: *This post submitted for judging* 4) This event is running for three days- one week! Don't miss your opportunity to give it your all! 5) All global forum rules apply- keep it clean and safe for all ages! 6) You are welcome to RP the 3 NPC's you are tug-of warring against; the judge will not be RPing these NPC's! Your reply should focus on your struggle against the inevitable, muddy end that your pony will meet, but feel free to spice it up by including the NPC's in your post! Event Judging: This event will be judged by three simple criteria: Completion, Creativity, and Quality. There is no actual timing factored into the judging, the winner will be decided solely based on the overall quality of their RP based on the above criteria and following guidelines. The listed criteria will be used by the judge to determine the winner, no scores will be given or made public, and the winner will be announced upon the completion of the event! There will be a first, second, and third place. Specific information on each criteria follows: 1) Completion will be based on appropriate post length (not to short or inappropriately long), and responds to all event criteria. Completion checks to see that the competitor has met all of the requirements of the event. 2) Creativity encompasses every writer's unique approach to solving the event, how entertaining, and how original the post is. Is there character development in struggle, however small? Do we learn something about the character through their actions, thoughts, and attitude? Is it humorous, or does it make us sympathize with the character? Is it enjoyable and well thought out? 3) Quality focuses on the physical quality of the post- are there spelling errors, or grammatical errors that throw a wrench in the reading process? Does the post flow well when read? Does the post look good, or is it riddled with colors that don't match and pictures that don't fit in? This criteria focuses on basic readability and penmanship. Getting Started: All you need to do to get started is to respond to this thread with your post of your OC accepting the sky-blue pegasi's question of who wants to go next! Good luck everypony, show us what you've got! Hey guys! Just wanted to tell you here that I am running a contest on facebook. Full rules are on the group page (linked) but basically, send us (the admins) an email with an image of your OC and the OC backstory. Best backstory wins a 20 inch plushie of that OC, made by Meowplease. (linked). Normally $50, TOTALLY FREE! All you need to do is 1. Join the group. 2. Get approved almost immediately. 3. Click files. 4. Click OC Contest rules 4. Read rules. 6. Enter contest. 7. Wait. Hasbro's Design A Pony Contest! Hey Guys! MLP just posted a Design-a-pony contest on Facebook, where the winning design will be turned into an 18 inch design pony, and a trip to SDCC! Check the Facebook page for more details/official rules, since, you know, they are subject to change on Hasbro's whim. I am betting that the model, though, will be the g3 "pony project" molds that they've been using for a few years, seeing as though the art ponies are still in this style. I am entering Blushroom. She was always meant to evoke older, simpler pony times. Hello everypony . This is my first contest ive ever done. The contest is about who can make there best drawing of there occ character. You can only make one, so make sure its your best. The winner will get it placed on my about me with the words "credits for art goes to: winners screen name", to were other ponies can see it. And as a bonus who ever can make the best my occ character will have it posted as my avatar. But thats only you want to its optional. The contest ends on 4/12/12 my time. Good luck everypony. wonder whos going to win? p.s. My occ character looks like this His name is Cheery smile btw. *Updated! Oct 28th! * Allright, everypony- all systems and contests are go! Be sure to check out the prizes thread here! : *Updated! Oct 15th! - Again! * The Harvest Spook-Tacular has been set up, and the gates have been opened for everypony to flood on in and enjoy! The Harvest Festival will run for 3 weeks, until November 5th! At that time no new topics can be made. However, you can still post in the open topics to finish up your Rp up until the 14th of November (a monday morning). This gives a total of a little over 4 weeks to enjoy RP'ing the Harvest-Spook-Tacular itself! There will be another RP event that occurs during the festival, the mysterious Nightmare Night! Nightmare night is a single spooky night filled with stories of the spooky and unnatural- it is filled with darkness and mystery, and its own powerful association with the night! Many ponies consider it just that, a legend, and it has become a festive occasion to honor the night, where foals and ponies of all ages go out celebrate the night with costumes, candy- and of course, parties! Even though Nightmare Night encompases only one night- We will be having a special trick-or-treat event to celebrate this holiday that will take place between the nights of October 28th through November 3rd. There will be awards and prizes with this event- so don't miss out! Its going to be awesome! You can find the Harvest Spook-Tacular thread and a description of all the RP'able locations here! I need to run a few errands right now- but I will be posting up the contest forums within the next few hours so that everypony can start submitting their works and get any questions they might have answered! You can submit your art pieces for the art contest (and find the rules) here! Likewise, you can submit your written pieces for the writing contest (and find the rules) here! Its going to be a great festival everypony! Looking forward to seeing everypony there! *Original Post* Eyup! You heard right! I hope everyone has had a nice first week to settle into October- I know that here the cold winds and rainy days are beginning to pick up, and that means very very very long days at work as a barista for me, but I can't blame everypony- I'm feeling the need for a hot sweet-drink too this time of season! So if those cold mornings are creeping into your neck of Equestria- break out those scarves and wind-breakers and enjoy the fall weather! Its time to celebrate the harvest season! Here at Canterlot, we've got a lot planned for everypony starting October 15th, 2011: The Great Harvest Spook-tacular RP event! The Harvest Spook-tacular is a celebration of the autumn harvest season in Equestria! There will be a huge street fair and festival, a corn maze, haunted house, many other locations to explore, and lots of ponies (and other creatures) dressing up! Nightmare Night! During the Harvest Spook-tacular there is the ever-famous Nightmare Night, a night (one RP/Event week) shrouded in mystery, candlelight, and darkness- but that doesn't stop ponies from all over from visiting their favorite locations to trick-or-treat! But be careful- many spooky legends surround Nightmare Night- you never know what kind of scary-or wonderful- things you might find at night! Beware all ponies who venture out of town and into the night! Contests! Yes, contests! TWO to be precise! We will be holding an art contest and a writing contest that will be open for submission starting the 15th! However, you can get started NOW! Art Contest - Best cast character Halloween art – single character Only one character permitted per entry. Cast character may be background, but they must be recognizable. (Like, you can't make your character a ghost and completely cover them up, etc.) Must be dressed in costume or Halloween attire. Best cast character Halloween art - group of characters Must contain at least three cast characters MINIMUM. However, there is no maximum limit. (But remember, more characters does not necessarily equal better art.) OCs may also be included in the picture. Cast characters may be background, but they must be recognizable. (Like, you can't make your character a ghost and completely cover them up, etc.) Must be dressed in costume or Halloween attire. Best dressed OC Halloween art - single character Only one character permitted per entry. Must be an Original Character created by YOU. Must be dressed in costume or Halloween attire. Writing Contest - 1500 word MINIMUM. Anything below that doesn't count. Must be Halloween themed Must contain the phrase: "I've got a bad feeling about this" Prizes!!! Yes! There will be prizes! 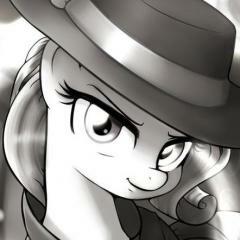 I will be including a list of those as the event gets closer, so come check back everypony! So as you can see everypony has a lot to look forward too! Are you excited? IM excited! I don't think I've been this excited since the time that season two aired and I went *GASP! * Looking forward to seeing everypony there! RP Event Harvest Festival Contests and RP is now over! The Harvest festival and the contests are now over! Thank you everypony for participating! I've finally got a couple days off starting tomorrow, so i'm going to start judging and i'll be posting up the winners and exactly what they have won! I'm also going to get in touch with the winners of nightmare night, and be sending out their packages in the next two days~ thanks for being patient everypony! Hope you all enjoyed the events! Im actually surprised there werent more contest submissions- but hey- if you dont like free stuff, more for the ponies that do! And trust me, these prize packages are something to drool over. More tomorrow with pictures! Thank you to everypony who participated in the Nightmare Night Trick or Treat event! Well I definetly learned a lot from this event, and the ROTL on how I can do things better for each- I try to come up with original ideas for 'activities' on the forum here, and while they usually sound pretty good in my head and on paper, they dont always pan out the way I *quite* want them too- and a lot of that is because I try to tackle it all myself, and I really dont have the time for that xD But we learn with every event, and i'm certain that the next will be even better- and have its own unique twist that will hopefully be enjoyable for everypony ;} Congratulations to the winners- Diego Havoc and Ginger Mint! I went out and picked up a few little extra things last night after work (but my phone died, so no camera to take pictures with). I'm going to take the prize basket we have, and re-assemble it with an extra thing or two to make two grab-bags so you can each have one! Congratulations again you two on a very lucky Nightmare Night! But thats not all- due to our recent forum upgrade (just before Artax went on vacation), several of our forum hooks are outdated and are awaiting updates- but once we get them your awards will pop up! And there will be awards for ponies who achieved certain unusual feats- you'll just have to wait to see what they are! But I can tell you it may have to do with how lucky- or unlucky you were this Nightmare Night! Thank you again to all of our donators who made the prize packages possible! Another big thank you to Tales for communicating, organizing, and handling the prizes and making sure we had some to give away! And thank you to Riverhippo for his table skills and taking the time to calculate all of the scores for Nightmare Night so I could actually sleep! Prizes Harvest Spook-Tacular Contest and RP Prizes! Contest Contests Prize Bags Revealed! End date postponed! Hey everypony! Quick but important update on the contests! The contest deadlines are going to be postponed one week, meaning that everypony has until November 14th to have their submissions submitted to the contest threads! Below is a list of the grab-bags for each competition, so take a look at what you can win! I will have links for each prize to the prize thread as I update this throughout the day today- for now you can get an in-depth look at all of the prizes for Nightmare Night, both contests, and event participation here! You can find the rules to the writing contest here. Likewise, you can find the rules to the art contest here. If you are new to the board and have any questions/difficulties, see our Getting Started Forum. Minor changes: -You no longer have to have 3 posts to post up your contest piece- but you must still be registered to post to the contest section! You must also have 3 posts before posting anywhere else besides contests and Introductions. This is to cut back on a lot of confused PM's I am recieving. -Contest deadlines are now Novemeber 14th- please have all your submissions in by then! (Thank you to Tales for creating this prize list! 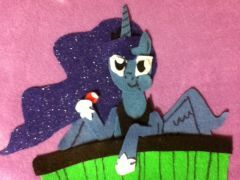 And thank you to doners who made these prizes available for everypony!) Prizes: Best cast character Halloween art - single character – 12 sticker set (SquidBombed) – Coloring book (Tales) – 4 pins (Bean) – Sticker pack (tinrobo) – Choice of necklace or keychain – Fluttershy small print (SquidBombed) Best cast character Halloween art - group of characters – First choice: *Beer stein or pint glass (Toyponystudios) – Main 6 artwork cards (Ginger Mint) – Choice of 1 out of 7 button set (NomLegion) (edit: mistyped in original post- my apologies!) – Calendar (Tales) – Sticker pack (tinrobo) – Choice of necklace or keychain – Pinkie Pie small print (SquidBombed) – Derpy sticker (Toyponystudios) – Trixie sticker (Toyponystudios) Best dressed OC Halloween art - single character – 12 sticker set (SquidBombed) – Coloring book (Tales) – 4 pins (Bean) – Sticker pack (tinrobo) – Choice of necklace or keychain – Rarity small (SquidBombed) Writing contest – Second choice: *Beer stein or pint glass (Toyponystudios) – Painted artwork (buxy) – 3 button set (SquidBombed) (its a set of 3, typo) – Calendar (Tales) – Sticker pack (tinrobo) – Choice of necklace or keychain – Twilight Sparkle small print (SquidBombed) Nightmare Night Participation grab bag – Shot glass (AnimeAmy) – Activity book (Tales) – Rainbow Dash sticker (NomLegion) – Sticker pack (tinrobo) – Vinyl Scratch print (SquidBombed) Best Roleplay - staff choice – Art by brianblackberry Good luck to everypony! RP Event Nightmare Night begins! Rules on how to Trick-Or-Treat! Nightmare Night Instructions: Updated! check the bottom of the post for more details! Here's the game, and everypony has to play! Well, not if you don't want to- but there will be a prize for the pony who gets the most candy! There may even be awards for those ponies who achieve something great! Here's how it works: There are four locations, and each night of the event you may choose to trick-or-treat at one location. Each night, a different character will appear at a random location, and you will be tricked, or treated! The object of the game is to be treated the most times, and end up with the most candy by the end. There will be a real prize given away, so do your best to get as much candy as possible! Basic Rules: -Once you pick a location for that 'night' (one location per RL day), you may not be active in a different location until the next night! -Each night you can choose a different location to try your luck at, or choose to revisit the same one you last visited- but you may only trick-or-treat at one location per night!. -Also, no wings, and no magic! Wait, that's not right! Oh, you can only have ONE character participate, although it can be a cast character if you have one. Remember, you can go to the same place every night, but the fun is in mixing it up! -Each topic is open for 24 hours- to Trick-or-Treat for that day you must choose one location and RP your chosen character (OC or Cast) within that thread during those 24 hours! At midnight (my time) each topic will be visited by a mystery character, and all the ponies present will be tricked, or treated accordingly, and the thread will then be closed to all posts. New threads will open up at 12:01am the next morning starting a the next 'night' to be RP'ed! Be sure not to miss a night, and try to get as many candies as possible! Trick-or-Treat outcomes: Treat – Receive 1-2 pieces of candy Trick – Lose 1 piece of candy Poison Joke – The next round, your character is cursed with Poison Joke! However, they may continue to play as usual, just with the effects of Poison Joke. Have fun everypony! The Trick-or-Treat forum can be found under the special RP event here! This event will run from October 29th until November 4th! *~Updated~* There are five possible characters that can visit each location (topic) per night- but only 4 locations- each character does something different, and you never know which character will show up in which thread- its always random! At midnight each night, the threads will lock and I will post which character has visited each thread in the thread- I will then unlock the topic and you can RP out your character's reaction to the trick-or-treat result! Every post after mine will not be counted towards candy- since the topic has already been trick or treated. Each thread will stay open only 24 hours after it has been visited by its mystery character for you to RP your reaction- once it is closed, it is closed for good! I will post rankings soon! Prizes Pony prizes! TONS of them! And, i'm sick! Hey everypony! I have been recieving a lot of mail lately! Donations to be exact! How many donations? Well, I can cover my queen size bed with them! And guess what? I'm giving them all away! As many of you have noticed, we have a few contest going on right now! If you want a shot at winning some incredible pony swag (some of it is unique!) then be sure to take a look at our contest forums and get involved now! I will be posting pictures of all these prizes tomorrow! (I have the day off because i'm super-sick) On a side note-I apologize for being so scarce lately! As some of you know- I have been very busy with my work as of late- I gave a presentation to a large panel of my bosses (roughly 20 of them), and in order to do a good job I worked my flank off- to the point where i'm now stuck in bed sick! Good news though- that means i get to be around all of you, and spend the day posting up pictures of all the incredible prizes people have mailed me- i've got to have a couple hundred dollars worth of donations- i'm simply amazed at the generosity of these individuals, and I will be showing who sent me what tomorrow! These artists contributed this material for you bronies, so be sure to give them a huge thank-you, and click on the links I provide tomorrow to see what else they are making! Support your fellow artists- they create the original material that helps keep this community flowing with new adorable material! More to come tomorrow! I you guys! Manestream posted a topic in Running Of The Leaves 2011! The Setting And here they are! Its a long stretch, and everypony is s for the finish line! So many ponies neck and neck- this is what you saved that burst of energy for! Put all your effort into this final sprint! Who will win this years Running of the Leaves? It's been a fantastic race everypony, but it will be up to the judges to determine the winners! -Lampwick 'Flicker' Jane- Things had gotten crazy. Really crazy. The race had turned from a race into... well, not really a race. Ponies and creatures alike had stopped to unbury each-other from the puddles of sap, sometimes banding together into groups of three or four to remove one another from the sticky hang-up. For all that it had seemed- the race had stopped. Lampwick was intrigued. She slowed down and found herself pushing, or pulling a few stuck ponies here and there until everypony was free. Once a group had freed all of its immediate surrounding ponies, it would then move to another group of ponies. What had once been a small crowd of ponies was very quickly turning into a dense pack again, much like the pile-up at the bridge; except this time ponies werent competing to get across- they were helping one another so that no-pony was left behind. It was then that Lampwick realized the underlying attitude and lifestyle of the ponies gathered here in around ponyville for the Running of the Leaves- while the race was competitive, everypony here deep down was a team player. While many many ponies had become stuck in the sap- not one pony would be left behind today- even the leaders of the race had stopped to help a very cross looking griffon. Lampwick had always been a rather solo-going pony; loving company, but always finding peace within her own thoughts. Witnessing such... spontaneous teamwork, and loyalty to what seemed complete strangers, found a little nook in Lampwick's heart, and warmed it. In a way it all made sense- the trees here needed the ponies, and the ponies needed the trees; much like the ponies in the race needed each other. Lampwick felt like she was witnessing something important, but she couldnt quite put it into words, or thoughts. All she knew was that it made her feel good and warm somewhere deep down; and when it came down to it, it was moments like these that Lampwick traveled for. The little unexplainable. beautiful, mysteries in life that really made her feel alive. Lampwick had just finished helping a group of ponies free the last of the trapped, and for a long moment it seemed everypony had stopped. Heads began to turn towards the last stretch of the race when a large shadow passed overhead- the large balloon from the beginning of the day rose out from behind the tree-line, and in the distance voices and shouting could be distantly heard. Squinting ahead, Flicker could see a large banner, and a growing crowd of ponies along the treelines, waving and shouting. The finish line. A few leaves fell from the still heavily-laden trees. It seemed everypony was noticing all at once. Lampwick saw other ponies begin to move from the pack, starting up to a trot. Her legs burned and the excitement she had felt earlier exploded in her chest. This was it! Rearing up, Lampwick gave a loud whinny amongst the large group. "Lets go everypony!" Lunging forward into a full sprint, Lampwick burst towards the front lines of the group at a gallop. Her mane whipped in the wind with her speed, and she had never felt so alive and fast. Here it was, the last leg of the Running of the Leaves! The Setting: The sidelines of the race- feel free to RP any OC's or cast ponies who would like to RP around the Race event, but not within the race threads itself. Enjoy! The Setting Wow, can you smell that tree sap? It'll make some wonderful syrup once it's all been gathered! Watch your hooves, or you may end up in a sticky situation! There are drops of tree sap everywhere, making a lot of the path way sticky. Although, I bet that syrup is mighty tasty... -Lampwick 'Flicker' Jane- The world was fuzzy and warm all around her. She was dimly aware of the flecks of sun that flowed over her coat like warm speckles. The world swayed back and forth, rocked, bounced lightly; it was rather soothing, like being carried along her Pa's back when she was just a foal. She used to drape her arms over his shoulders, stick her nose in his mane, and fall asleep there. Maybe thats where she developed her first love for traveling. Lampwick yawned loudly- so loudly that she woke herself up. Blinking groggily she stopped her canter and looked around. The rocky path had turned back into soft earth, and trees were more dense again, and there were puddles of water lying all around. "Well thats not right... last thing I remember is taking a break next to that sign... how did I end up here?" Lampwick looked down and observed her legs; they felt a little tired, but they didn't ache with the exertion she had felt before she stopped to rest. Looking around proved that she wasn't in the same place as before... Lampwick suddenly realized that she'd been jogging with her eyes closed. No, that wasn't quite right; shed been racing while asleep! Placing a hoof against her ear, she gave her noggin a good confused rub. She could see ponies in the near distance, both in front of her and behind her, perhaps she had followed them by scent and sound. Either way, Lampwick felt pretty good- but she could certainly use a drink of that water; she felt parched after that nap! Stepping up to the nearest puddle she immediately realized it wasn't water. The sweet smell of the liquid was unmistakably sappy; and while this sap smelled awfully sweet, she was certain it would simply make her mouth that much drier. Truth be told, she feared it getting in her mane or tail far more than that simple inconvenience though. Maybe she could come back after the race with a few empty jars and fill them up to have later. She liked that idea- and promptly deciding that that is exactly what she would do once she got back to Ponyville, she set off down the trail again to catch up with the ponies around her. A slight blush crept into her cheeks. Hopefully too many of them didn't notice her unusual behavior; and maybe she could overhear just exactly where she was in the race too. Oh colt, would she have a story for her Pa when she saw him this year! The Setting Make sure you follow the sign! Well, usually. Sometimes there is a pony or two who like to switch the sign pointing to path ahead over to the path leading up the mountain side. Careful though, the path is very rocky right here, and a pony could easily trip and hurt themselves. -Lampwick 'Flicker' Jane- Phew! Lampwick's lungs felt like they were on fire! As the thought shot through her head, she took a cursory glance down at herself to make sure that she wasnt indeed, on fire. Relieved to rule that terrible option out, she decided that the next immenent threat was that her lungs might explode. Pretty sure that wasnt the case, Lampwick still thought it a good idea to take a break until she felt a little less likely to catch on fire, or explode from her exertion. Puttering out fast along the increasingly rocky trail, she trotted up to an old rickety sign and leaned up against it. Lampwick liked old rickity things; she loved things that had the feeling of age and mystery about them. Sure, it was just a sign, but it felt like a little piece of home sticking out of the ground. Phew- she had run hard that last stretch- all the ponies clustered up about with her; all the leaves falling throughout the forest, the wind and motion and life in the air as they stampeded through- it was just so exhilerating. Lampwick had never been an athletic pony, even though she had been a very mobile pony all her life; but for this day she thought she could really understand the excitement and joy that pegasi seemed to feel when gliding through the air. It was exhilirating. She was pretty surprised she could keep up; but that wasnt going to happen without a rest- she knew she'd pushed herself harder than ever before, and the race wasnt even over. Her eyes were droopy, and her lungs tingled uncomfortably. Long deep breaths seemed to help calm her thudding heart- and it felt so good to shut her eyes and just let them rest... Lampwick was soon asleep; dozing away against the old rickety signpost. As she leaned into it to let it support her weight, the little arm of the sign was pushed out to point down the trail branching off to the right. Unknowingly, Lampwick had pointed the sign to the quicker and easier trail around the mountain side; the steeper old-trail path to the left wound up the mountain, and over it down the other side to meet up with the other path. It was a longer and harder path, but the view it offered was also breathtaking- from a vantage point that high up, a pony could see quite a bit of the race from above. The Setting The most important part of the race! Here is where there are the most trees—and the most leaves! There's the smell of bark and sod in the air, along with the buzzing of bees and twitter of birds. Such a lovely site... Ooops, don't get too caught up in the scenery now! -Lampwick 'Flicker' Jane- Lampwick had narrowly avoided the hub-ub at the bridge- she considered herself lucky. She'd just had her fill of the crystalline pure cool water and was heading up the bank when ponies began falling into the water. Hornets began to fly, and what was once just a small crowd had turned into a furor of confusion and bustle. Lampwick found this all interesting enough, but she certainly didn't want to find herself in the thick of it. Turning away from the throng of ponies laughing, cheering, and jeering, she focused along the trail before her. She'd thought she'd been in the forest before- but had come to realize that the forest was much more thick with the golden and molten hues of fall than any landmark previously before. The trail was littered entirely with the colors of the sunrise and the sunset, and she could barely make out where there was trail, or simply forest floor. As if responding to her in like fashion- the forest erupted with sound as a sudden gust and breeze passed through the uncountable number of leaves still clinging to the trees. For all that had already fallen- many many more needed the encouragement of the stampeding ponies to bring them down. Lampwick had lost the commotion of the world around her, caught up in her new momentary fascination with the forest. For a long moment she just watched the forest- drinking it in slowly, just as she had the water from the creek before, but this drink filled up a cup deep inside her- a place in her that yearned for wonder, mystery, and beauty; and here in this moment, she had found it. A smile spread slowly across her muzzle. Feeling a part of the forest for that brief, private moment, she reared up onto her back two hooves, held her stance for a moment as her weight shifted- then like a pendulum in swing from one extreme to the other, she brought her weight and force down, smacking the ground with all the force her body and hooves could muster. For what seemed like a long moment she waited, searching the trees with her eyes. A few sparse leaves broke away from the maze of color that enveloped the canopy above her, swaying in the calm air as they made their way to settle upon the path. Feeling mildly dissappointed from the lack of reception, Lampwick looked back up at the leaves of the trees expectantly. It was then that a griffon blew past her at break-neck pace; followed by a brown pony, the skye-blue pony from earlier, and suddenly many many more. The force of the building stampede as it unwound from the bottle-neck of the bridge grew quickly; and as the earth trembled with the collection of hooves the leaves all around Lampwick began to fall- not just a few here or there, but hundreds- thousands even- maybe even hundreds of thousands! Lampwick's eyes grew and her expression lit up- now that was like the stories her Pah used to tell! The sight was breathtaking. Without loosing another beat of her sped-up and excited heart, she reared, gave a loud whinny, and was off to stampede with the others through the heart of Whitetail Wood! The Setting Don't fall in! The bridge across this stream is narrow, only allowing for two ponies to cross at a time. But, there's always the wider path through the cool water! It's a nice place to stop and dip your hooves in—when there isn't a race going on! -Lampwick 'Flicker' Jane- Lampwick had just been lost in her thoughts, gazing out over all those apples and trees, and how delicious they looked. She was certain she could make the time for one if she came upon it. Oh the joys of traveling; finding new fruits and flowers to taste- ponyville apples hadnt been on her list of recently enjoyed in a long time- it looked like it would be time to change that! Putting a little excited flick into her tail, she began to turn back to the path when a soft, melodic voice reached out to her; it tickled her ears in a friendly way; much like a friendly nibble across the whithers would. "Careful there, the apple family can be awfully defensive about their trees, and a couple of them are in this race so they may spot you." Lampwick turned her head to catch the playful smile of a sky-blue unicorn with golden eyes- that matched the golden mark she sported along her flank. Lampwick couldn't place the name of the instrument, but it looked vaguely familiar to her. It reminded her of her youth at canterlot; but those days were spent daydreaming about other locations in the world- and truthfully, her life in Canterlot was much of a blur to her nowadays. She opened her mouth to speak, but found that no words would come; she wasnt a witty pony, or a terribly social pony- but she knew she wanted to say something, but not what it was. Instead, she simply watched the blue pony trot off and disappear amongst the many ponies as easily as she'd stepped into her life. She reminds me of Canterlot. Giving it a moments thought, she finally shrugged and let her smile bud across her face. I'll think of it eventually~ With that, she flickered her tail and joined back in the race, leaving the visage of the acres behind her, to follow the path downward that cut between them. She kept up a brisker pace than normal, fueled by her curiosity to search the crowd of ponies. She saw many slowing to take a break, some chatting, some tossing objects between one another. She even stopped at an applejuice stand that looked like it was being mobbed by thirsty ponies. She listened to a particular pair of a parent/foal co-team running the race together that made her smile; and even saw some ponies sharing berries together on the side of the path, but as she continued on moving her way up the pack she still hadn't caught sight of the blue pony from earlier. After a good hour of running, Lampwick needed a break. She caught her breath at the edge of a small glade, just past a small bridge that overlooked a babbling brook. The trail had begun to get much thinner, and ponies were having trouble sharing the path; but when it came to the bridge it was an out-right stampede-jam. She had gotten lucky to fit through with a small foal with a white coat who had shown amazing speed and stamina, but other ponies were bunching up and jostling each other (rather nicely, considering) in order to get through the bridge first. Many pony had decided to bypass the bridge and try their chances racing down one bank, splashing over the wet stones, and up the other side of the bank. While she was certain she had passed a good many ponies, she watched as a good many passed her in turn. The sight and the feel of the entire thing was...exhilerating. She didn't care if she won or not- just the feeling of running with so many ponies made her feel as if the entire forest....was alive. Her heart beat with excitement- she was itching to get back on track- but first she needed some water. With care to not slip and injure herself, she made her way down to the brook, let her mane down, and took a long refreshing drink. Running of the Leaves Race - Roleplay Event! NOW LIVE! Sept 4th-17th!